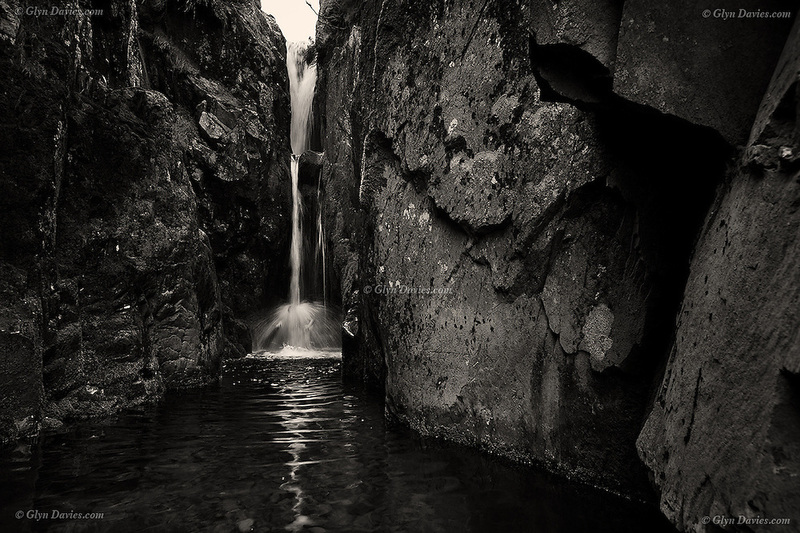 "I stood waist deep in dark water in a mountain gorge. Drizzle permeated the air & everything was dank. The thundering noise of the waterfall at the far end was relentless & disturbing in this remote, surreal landscape but soon the sound intensified, almost deafening in the darkness, as the figure of a tormented man appeared, raising himself within the pummelling, punishing torrent"